Soccer season - yeah ! 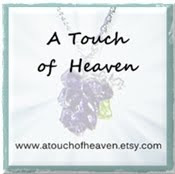 I'm having lots of fun and learning alot about links and reciprocal links for my website. Thanks to a couple of very knowledgable and helpful folks from the Made in NY Craft directory. School has started and that means -- Soccer season has started ! Yeah! This is our son's last year of high school soccer. We sure will miss it and I know he will too. He loves it. Hopefully he will be able to play in college. Grades first, mister ! Prayers for all the Katrina victims.